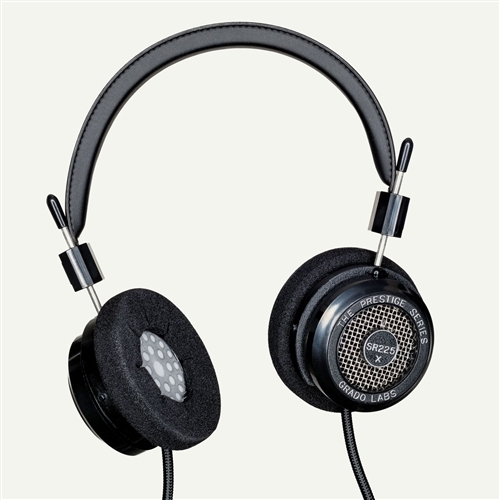 Our favorite rock headphone at the $200 price point. Energetic sound and dynamics make this ideal for the rocker or anyone who wants to "be there" for the performance! Let your spouse know you honor fidelity"� give them a pair of Grado SR225e headphones to enjoy their favorite music the way it was meant to be heard. Our traditional open-back design features enhanced airflow through the rear metal grill, and reproduction that is the definition of high fidelity, with crystal clear spatial placement. Allow yourself to experience true intimacy with your favorite artists.